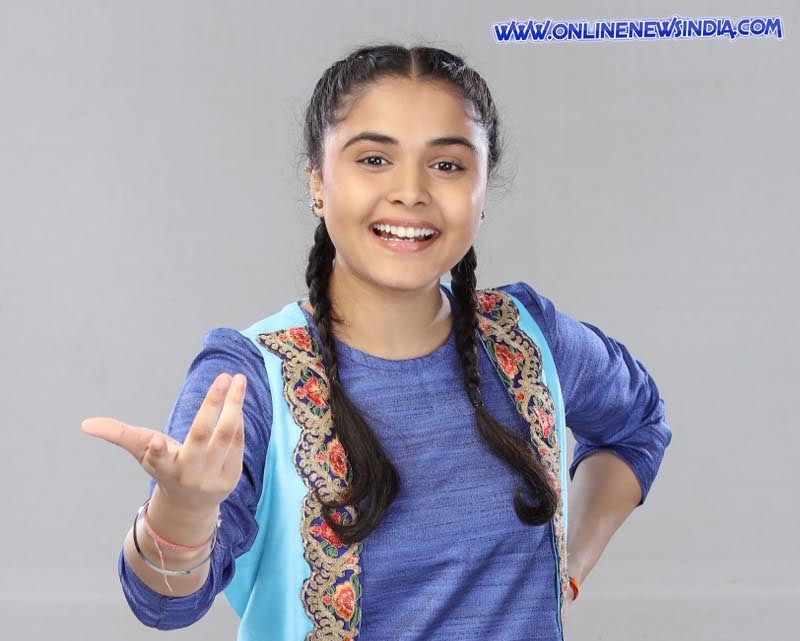 Mumbai, August 02, 2018 (Team Online News India): Here is the Interview with Muskan Bamne as Siddhi in show Super Sisters on Sony SAB. Muskan: My character Siddhi is a typical young tomboy. She is someone who hates to study and only wants to roam around with her buddies. She is Shivani’s sister, but also like a mother to her. She is notorious, but at the same time, caring. For Siddhi, Shivani is her whole world and takes care of her in every way possible. Q: How did you prepare for the role of Siddhi? Muskan: My character Siddhi has never attended school. This is the reason why you will find her speaking in pure Haryanvi accent in the show. For this accent, I had to undergo rigorous training to learn how to speak that language, in that accent. I took a lot of time in grasping it, but I had a great teacher. Sunita Ma’am, who has also trained Aamir Khan in Dangal, is here to teach me Haryanvi and I am definitely having fun. Q: You have already shot some episodes, how has your experience been till now? Muskan: Siddhi is very active as a character. She is someone who is always jumping and chirping around. Basically, I am getting to do all those things that a boy would do and I am loving it as I am not at all like that. I am immensely enjoying the shoot as it is a very different role for me. Super Sisters is a fresh show and I hope audience finds it so, too. Q: What kind of shows have you worked on before? Muskan: I have worked on a few Television soaps on other channels and have tried my hand in movies too. In fact, I will soon be seen on an upcoming movie along with the gorgeous Bollywood diva – Kajol. Q: Do you have any sibling? Muskan: Yes, I have a younger sister and her name is Simran. My sister is exactly like my character Siddhi. She is like my mother in real life and is always taking care of me. Whenever I have issues in my life, she is my go-to person and she always has solutions to them. Somewhere, my real life experience with my sister has helped me a lot during the shoot. Q: How well do you relate to your character Siddhi? Muskan: I can relate well to Siddhi. I don’t like studying in my real life, which is also one of the characteristics of Siddhi. Siddhi and I, we like Listening to music. I would say Siddhi is another Muskan for me. Q: How is this role different from other characters you have played in past? Muskan: Siddhi is a very different character compared to the ones I have played in the past. Whatever roles I have portrayed have been soft and subtle. Whereas, Siddhi is completely opposite of this. Being a tomboy and a rowdy, she is someone who will get into a fight with anyone who will point fingers at her sister Shivani. Q: What do you think audience can look forward to? Muskan: As the title says, ‘Super Sisters – Chalega pyaar ka Jaadu’, the audiences will see a lovely bond between two sisters. It is going to be relatable. For Shivani and Siddhi, nothing else matters. It is about each other.